Recently, I have been exploring alternative display options as part of some internal research and came across the new wave of holographic technology. As most people who are into sci-fi will know, holograms are the technology of projecting an image or object into the real world using light (cue Star Trek image now). However the truth is we are still not at the stage where we have 'hard' light, intractable objects created solely by light as depicted in our favorite sci-fi shows. Yet the push for holographic technology still moves forward with some pace. During my searching I did come across the current generation of hardware in holographic tech, and to my surprise it is looking really convincing. 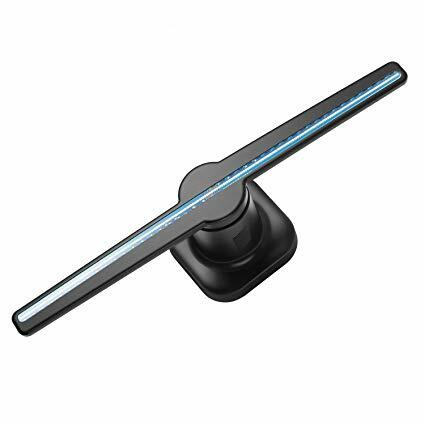 The hardware itself is cleverly simple: two LED strips set up as a fan, that once spinning at a high enough rpm project an image out into the open air in front of itself. As impressed as I was with the technology and its potential applications across multiple industries, it raised the question of where does this sit within a technology specialism? 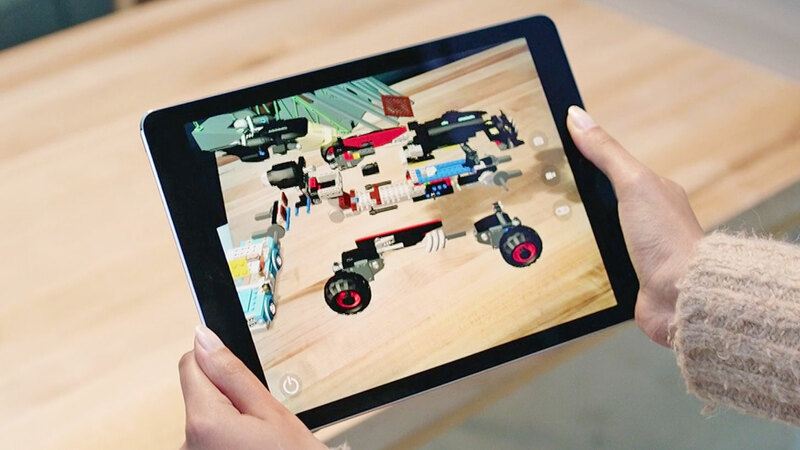 In many ways this technology replicates basic level AR without the need for a headset or smart device to see the digital object being projected into the real world. With this in mind does holographic tech belong as a subset of immersive technology, as it ultimately replicates the same outcome as AR? I would argue that at a basic level yes, holograms should be seen as part of the an immersive subset of technologies, purely because it merges the digital with reality. 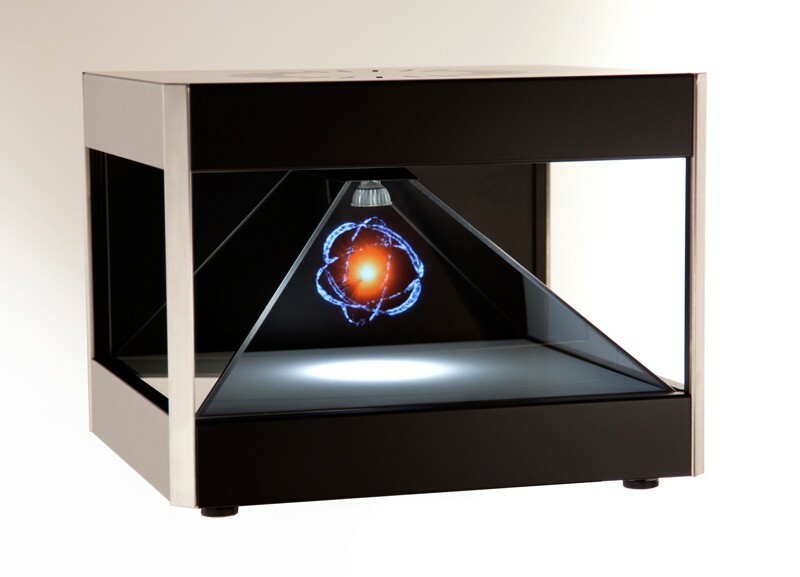 In 'cased' hologram projectors (typically seen as pyramid perspex cases) there is also the capacity for interaction with the digital objects through touch paneling or controllers. The major counter this categorisation is that, specifically looking at the LED fan style hologram technology, there is no interactivity which lends itself more to an alternative display rather than full immersive technology. Typically immersive tech is interactive, drawing users into the experience and convincing them that they are really there. There is also the limitation that only one object at a time can be shown - although the hardware can cycle through images or animations, it cannot display multiple complex images at the same time (unlike AR & VR which can use the full display space, as well as the 360° space the device can be moved into to show many digital assets). I feel that currently the classification of holographic technology could swing either way, dependent on the developers and applications created for the hardware. I would argue that it fulfills the basic description of what immersive technology sets out to do, in altering the perception of reality through the integration or replacement of reality with digital objects. Given time I feel that this could become another major alternative in the immersive ring alongside AR & VR, however I feel currently it sits closer to an alternative display method due to current applications using it for just that, keeping it as almost a gimmick showcase piece. We can always hope that the technology will continue to advance to allow us to have our dry humored, emergency medical hologram that Star Trek has always promised us.